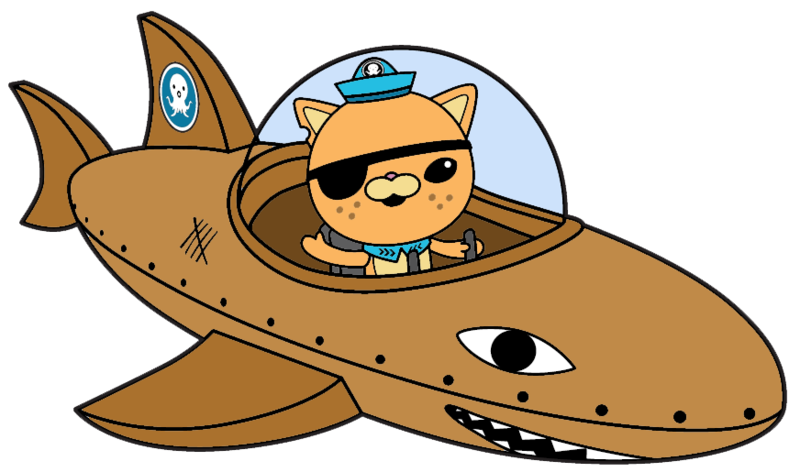 DIY Octonaut Halloween Bucket – Crazy for D.I.Y. November 1, 2016 • Crazy for D.I.Y. 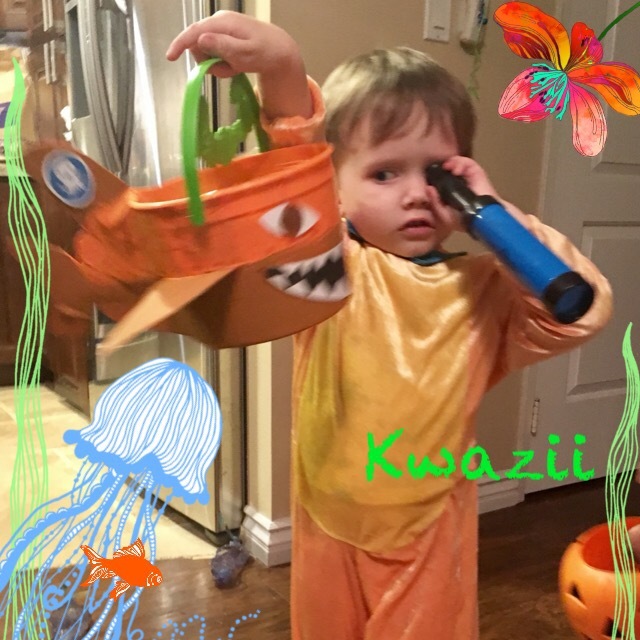 This year grandma bought my 3yo his requested Kwazii costume, crossing my fingers that he stuck with his Octonaut choice. I got him his yearly light up shoes for his trick or treating fun and a spyglass just like that scurvy pirate cat has. With all these things bought I really wanted to make SOMETHING for him. If you’re adding shape to one side of a bucket, it’s imparative to add similar weight to the other side of the bucket or it teeters to one side. Perfection is not necessary for a candy bucket whatsoever! Form the shape onto McDonalds happy meal bucket. Sand papered the bucket and not sure if it was necessary. Used Cereal boxes and duck tape. Lastly the decals. I just drew the mouth (I found drawing almost straight across helped the smile because once you tape it onto the curve of the bucket it starts to smile naturally). Drew the eyes, bolts along the middle and line etching on the side. The Octonaut logo I just printed 1.5″.. cut and tape with foam tape. I put the bucket lid back on. I didn’t paint it because it’s green like the keep forest in the show. And the Gup-B gets stuck in the kelp forest during an episode. My little Octonaut loved it! Posted in Crafts, Halloween, PaintingTagged bucket, diy, Halloween, octonauts, paint, recycleBookmark the permalink.